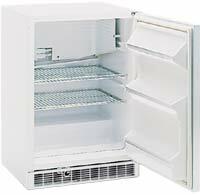 We offer a full line of refrigerators for use in hazardous locations, also known as explosion proof refrigerators. These are for use when not only is the flammable hazard present inside the refrigerator, but outside as well. 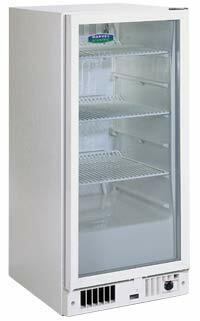 If you are only placing flammables inside and there is no hazard in the area outside the refrigerator, you should be looking at our flammable materials storage refrigerators. Ranging in size from single-door to triple-door models all refrigerators feature adjustable temperature control with digital display. The explosion proof model 6EAR is a undercounter refrigerator designed for use in hazardous locations for Class 1, Group C and D applications, which can operate from 1°C to 7°C. It is designed to fit under lab benches and features cfc-free refrigerants.